MusicSources - Center for Historically Informed Performance, Inc.
All of our events are wheelchair accessible. This venue has an adjacent parking lot, as well as ample street parking near the entrance of the church. St. Mary Magdalen is wheelchair accessible. Johann Sebastian Bach’s Partitas are considered to be among the greatest works written for keyboard. They mingle French and Italian styles blended with Bach’s perfect mastery of counterpoint. Trained in Holland, young harpsichordist Michael Peterson selects two Partitas for his MusicSources debut. 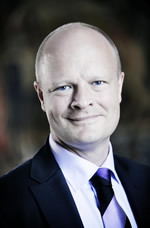 Søren-Gleerup Hansen is the titular organist of the Skt. Marie Kirke in Helsinbørg, Denmark—the very church and organ where composer Diderik Buxtehude presided from 1660–1668. In an exclusive West Coast appearance, Maestro Hansen will share his insight into the Buxtehude’s world, also featuring music of Frescobaldi, Storace, and others. 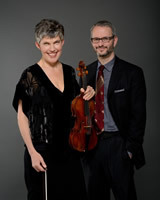 Founders of Seattle Baroque, Matthews and Schenkman have been musical partners for over 20 years. Beloved by audiences and musicians, they return to Berkeley having made a legendary impression on local audiences with their Berkeley Festival debut in 1993. Join us for musical fireworks of the 17th century, for which they share a mutual passion. Distinguished harpsichordist Arthur Hass is well known to Bay Area audiences and he has influenced many younger generations of musicians from his teaching at various masterclasses and as faculty at the Eastman School of Music and the Yale School of Music, among many others. He will perform a fascinating recital of descriptive and program music of the Baroque Era. 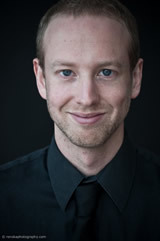 Originally from Wales, Guy Whatley is now based in Arizona and is a leading authority on music of the Tudor Era. He will present to us a feast of English music from the 17th century, played on instruments from the MusicSources Collection. Christian IV of Denmark was a magnificent patron of the arts. He cultivated a musical chapel with Italian and English musicians. There are also extensive letters and correspondence between him and Kirsten Munk, the second spouse of Christian. Their passionate and tumultuous relationship is highlighted with music and stories from their forbidden relationship, to their splendid royal marriage, to the first divorce in Denmark. Lene Langballe is among Europe’s most virtuoso cornetto players. Don’t miss this very special concert! Call or write to receive our season brochure. You can always get the latest news by checking here or getting on our email list.